Product prices and availability are accurate as of 2019-03-31 20:12:52 EDT and are subject to change. Any price and availability information displayed on http://www.amazon.com/ at the time of purchase will apply to the purchase of this product. Color: Random?we send it color at random? Material: wheat + PP + bamboo charcoal? 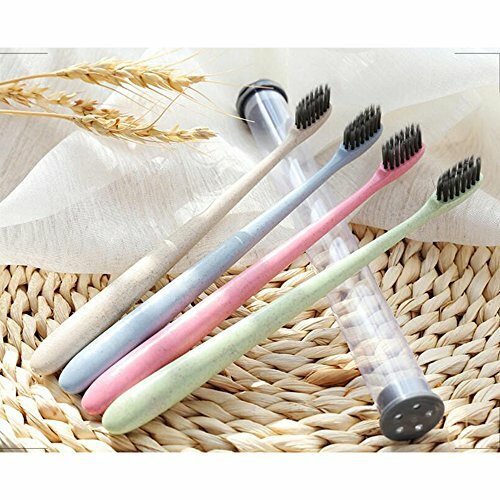 These toothbrushes are made of wheat stalk, starch and PP (50 %) by subjecting to hot-press molding. These are eco-friendly and do not include heavy metal. These are bio-degradable to certain extent and are non toxic in general. 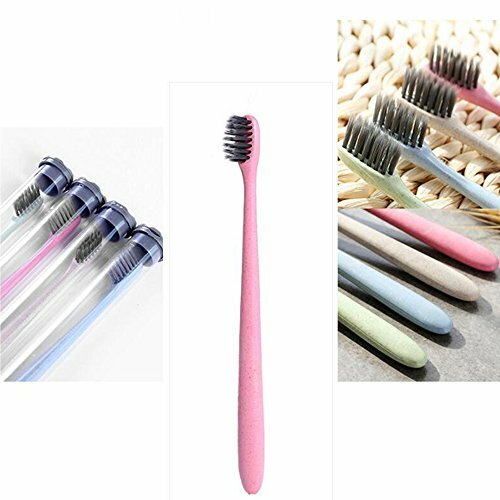 These toothbrushes are available in standard size of 7.28 inches and come in four distinct colors. No worry regarding messing your toothbrush with respect to other members of the family. 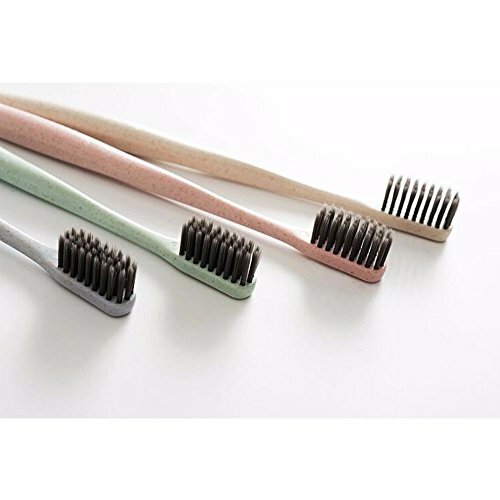 The soft and fine bristles of these toothbrushes contain bamboo charcoal to effectively clean your teeth and gums and remove odor from the mouth. 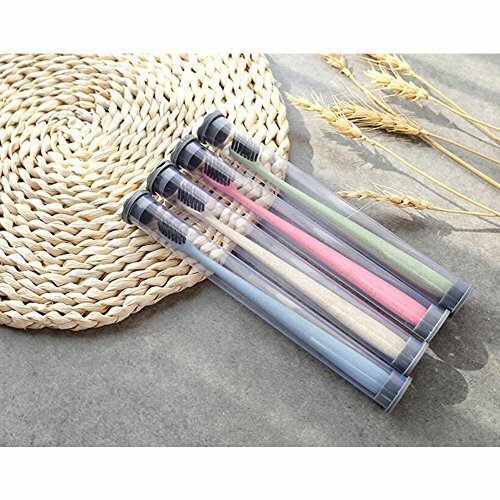 Get the refreshing fragrance of wheat straw in toothbrushes. It will rejuvenate you immediately and prepare you for a great day ahead. 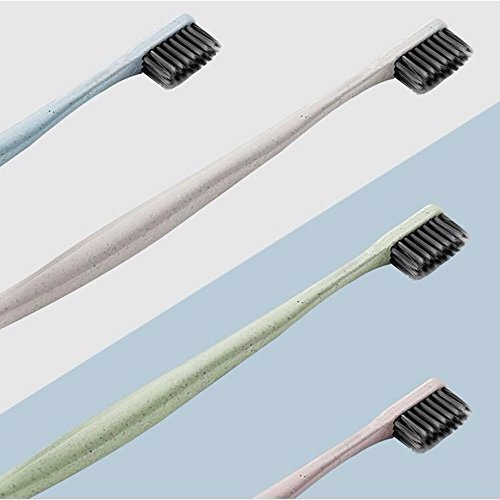 These toothbrushes are available in independent packaging and come inside individual PVC cases that are bacterial-free and anti-dust. You can carry them while traveling or use it in whatever way you like.